Mulugeta & Feda Go 1-2 In 3200, Lund 4:18 Mile In Raleigh! 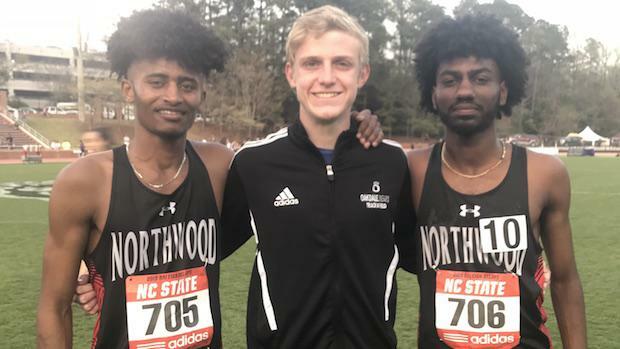 The state of Maryland in particular with elite distance boys showed out on Friday night at the Raleigh Relays in North Carolina with the Northwood duo of Eldad Mulugeta and Obsaa Feda going 1-2 in the boys 3200 meter run with personal best times of US #5 9:04.58 for race winner Mulugueta and US #10 9:09.01 for race runner-up Feda. Meanwhile in the adidas boys dream mile qualifier, Oakdale junior Kyle Lund finished 3rd in the race with a state leading and personal best run of 4:18.83 for the Maryland 3A indoor state champion in the 1600 and 800. It was a four second personal best drop from Lund as his previous fastest was from an indoor victory of 4:22 at Penn State this past winter. 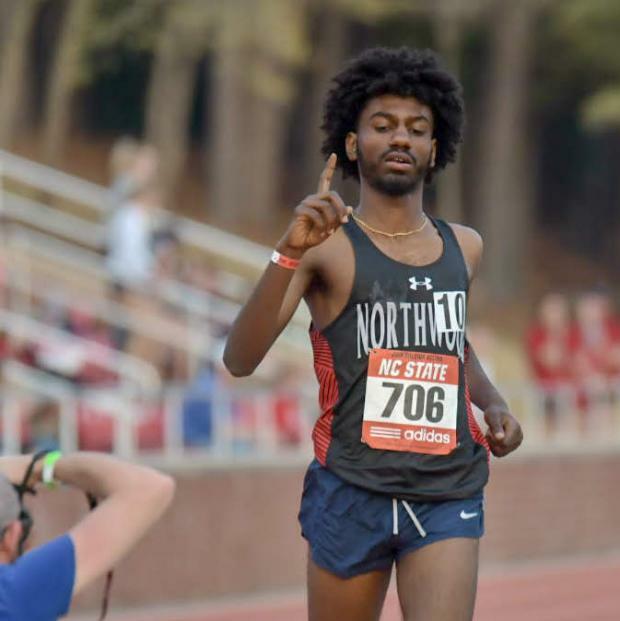 Mulugeta's time is the sixth fastest performance in the state's history over the last 2 decades including converted 2 mile performances as well over the 2000's and 2010's. Quite positive as well that Mulugeta and Feda are the first pair of teammates in Maryland state history to break 9:10 together in the same race for 3200 meters.